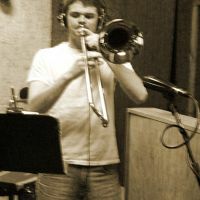 Additional Info: I have been playing for 12 years, and have experience in studio and on stage. The majority of my gigs are Chicago/EarthWindFire style horn section work either in studio or on stage, with a little less activity in the classical brass setting for weddings or galas and whatnot. I am currently serving in the Army Band and have been doing so for 3 years. I have performed with Johnny Lee, Danny Seraphin, Benny Hinn, Steve Torme and numerous smaller rock and jazz bands in the Southeast, along with regularly teach lessons. I also compose/arrange for wind ensemble, marching band, four-part horn section (tpt I-II, tbn, tsx), and small horn band.